Stephen Turner - Manners Pit - Helen Coan nee Disney's emails, refers to "my Samuel" and the 1905 accident. I found one of my dad’s brothers, Charles Sarson, killed in 1923 at West Hallam Colliery on Elaine Sarson's Mapperley Site. 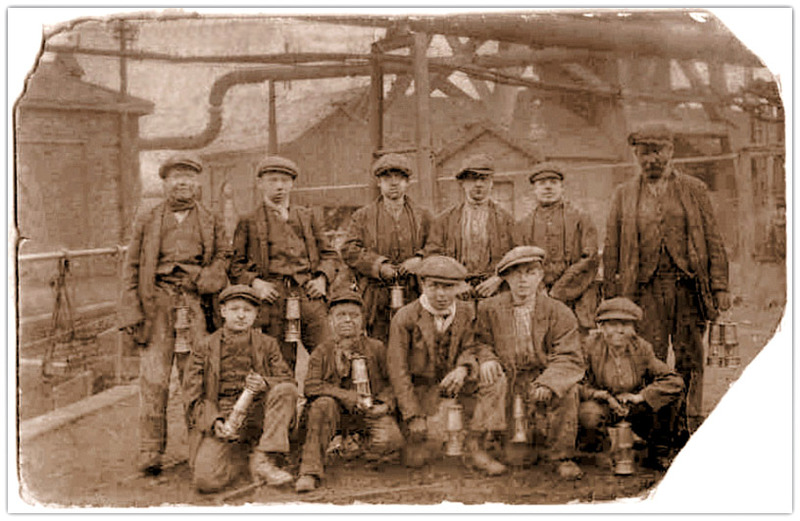 My dad Bertie would have been 113 tomorrow and I have a photo of him, see below, and many more young lads after their first shift underground at Manners Colliery 100 years ago. Both Charles and his brother John L. survived the 1914-18 war only to come home and die in the pit. Still searching John’s death, thanks to Elaine's site, found Charles. I have managed to find the photo of my dad at Manners Colliery. It is 100 years old and I have the original. It seems such an interesting piece of history as we look at young 13 year olds and what they had to do at such a young age. How hard it must have been. My dad, Bertie Sarson, worked all of his life underground until 1965. He cycled to Rossington in1921 when the pit was sunk and worked there until retirement. He is first on the back row. I am hoping someone can recognise their dad or grandad. I was really proud of my dad as he and his fellow miners worked so hard in terrible conditions he passed away in 1979. The photo was taken July 1912. 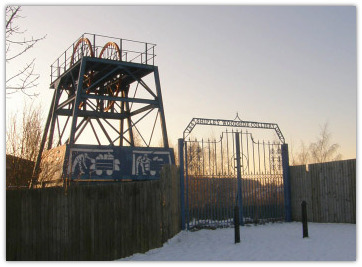 I'm researching my Disney family history and many of my ancestors were miners in the Heanor, Langley Mill, Ilkeston, West Hallam and Stanley areas from c 1890 - 1920. I have found that 2 Disneys were involved in an accident at the Manner Pit near Ilkeston in 1905, 3 men were killed in an explosion. Would love to know more about the incident and obtain some photos I could add to my family history. Plus contact with anyone who knew any Disneys in the area. I've already published Volume 1 of my family history and the Derbyshire branch should be in print by summer. Stephen is indeed related to the Samuel who was given the watch for his efforts in the mining accident. Both Samuels then joined the Pioneers in the RE in WW1 even though Samuel was by then 55 !!! I will contact Stephen straightaway. P.S I have another Disney involved in an accident. Andrew Disney died in Stanley Pit 1st Feb 1929. Through my relative in Ilkeston I have copies from the Ilkeston Pioneer 1905 22nd Sept about the accident which resulted in three deaths. Ten injured men were taken to Ilkeston hospital and three died of their burns and injuries. 2nd March 1906 has details of a presentation to five men who helped in the rescue, one was my Samuel Disney a stallman at Manners pit who was given an engraved silver watch. Another recipient was Joseph Henshaw a loader. Do you think he is related to the Joseph on your site and Gary Henshaw who wrote about Manners Pit? 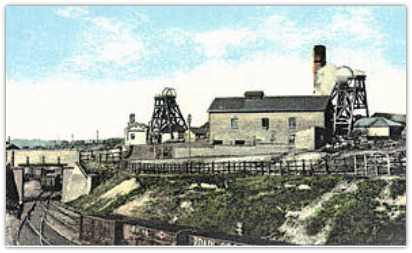 Ilkeston and particularly Cotmanhay is a bit of a national nucleus for Henshaws, and when mining was at its peak around 100 years ago, along with Beardsleys and Websters, they were amongst the biggest "families" in that area. I therefore can't rule-out being somehow related to a Joseph Henshaw at Manners Colliery in 1905, but this isn't something I am aware of. My paternal grandfather, another Joseph Henshaw, would have been at work as a hewer at Woodside Colliery in the Kilburn seam in 1905, where he spent all his underground working life. Reckoned to be the best house-coal in the country, this Shipley Kilburn coal fuelled the fireplaces at Balmoral, the downside being that it ruined my grandfather's (and probably many others') respiratory health, and he died in the early 1940s, aged 61 or thereabouts, after being forced to finish his working life early as a dayman through his work-related illness. As Woodside and Manners were at that time separate privately-owned entities, it is unlikely he ever worked at the latter, even temporarily. 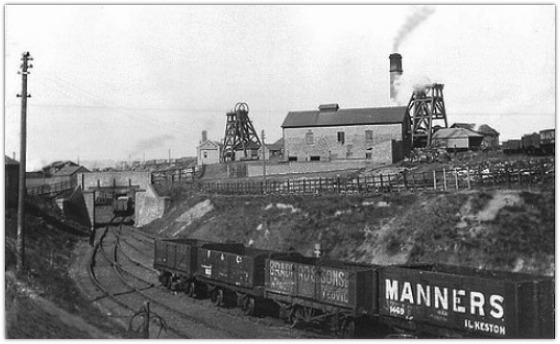 George Birkin was my grandad on my mother's side, he worked at Cossall Pit. I remember being told about George having a broken back. Manners Pit - Helen Coan nee Disney's emails, refers to "my Samuel" and the 1905 accident. Two weeks ago I started researching my family tree, with help from an acquaintance to start me off. My maternal grandmother's maiden name is Disney and, luckily, she was born in 1911 and so appears on the census of that year. Her father and grandfather were both called Samuel and were both miners and would have been 20 and approx 45 respectively in September 1905. "My Samuel" and his involvement in the rescue operation after the 1905 accident. My Samuel Disneys lived on Belvior Street, Ilkeston in 1911 and so wondered if one of them was him. I'll be making a visit to Ilkeston library and their microfilm copies of the Pioneer to see what I can find but wondered if it was possible for you to pass on my email address to Helen so we can compare notes if she so wished.